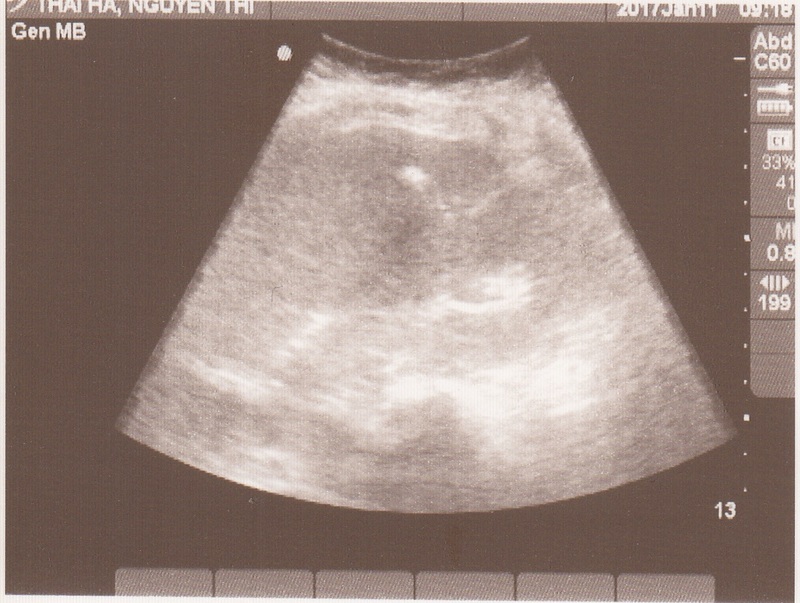 VIETNAMESE MEDIC ULTRASOUND: CASE 413: INFANTILE HEMANGIOENDOTHELIAL LIVER, Dr PHAN THANH HAI, Dr PHAM THI NGOC TUYET, Dr LE ANH TUAN, Dr LEQUANG THONG, MEDIC MEDICAL CENTER, HCMC, VIETNAM. CASE 413: INFANTILE HEMANGIOENDOTHELIAL LIVER, Dr PHAN THANH HAI, Dr PHAM THI NGOC TUYET, Dr LE ANH TUAN, Dr LEQUANG THONG, MEDIC MEDICAL CENTER, HCMC, VIETNAM. In 2008, a 5 months old female baby with abdomen distention and ultrasound scanning of her abdomen detected multiple echo poor in her great liver ( US 1). 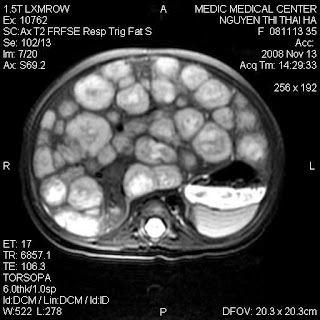 MRI of liver with gado found out multiple white spots with central low enhancement, looked like jack fruit appearance ( MRI 1, MRI 2). 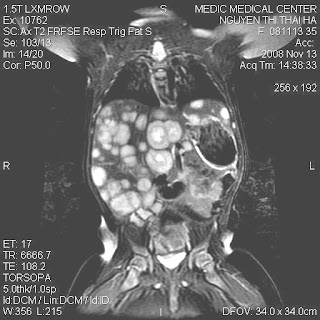 CT of liver non CE also found out multiple black spot inside her big liver ( CT1). Blood test with AFP = 76ng/mL. 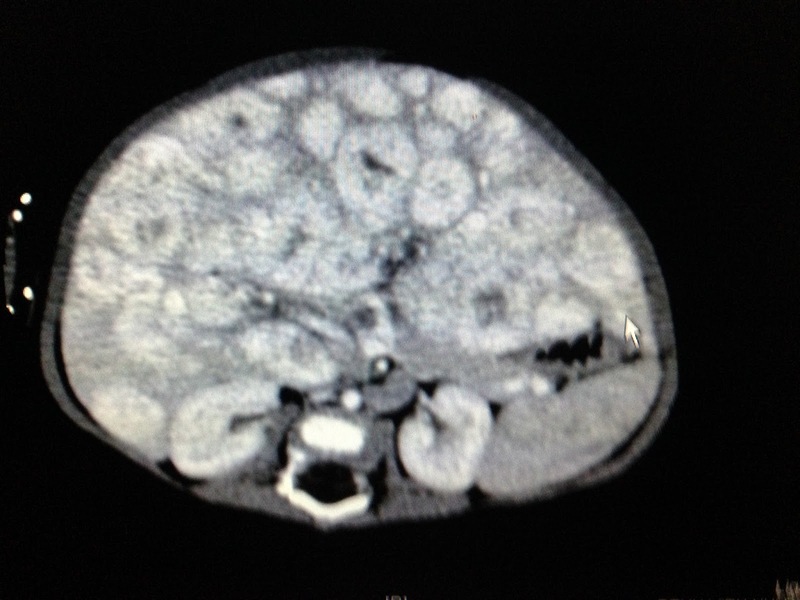 Radiologist and hepatologist suggested that infantile hemangioendothelioma of liver, no need of special treatment. 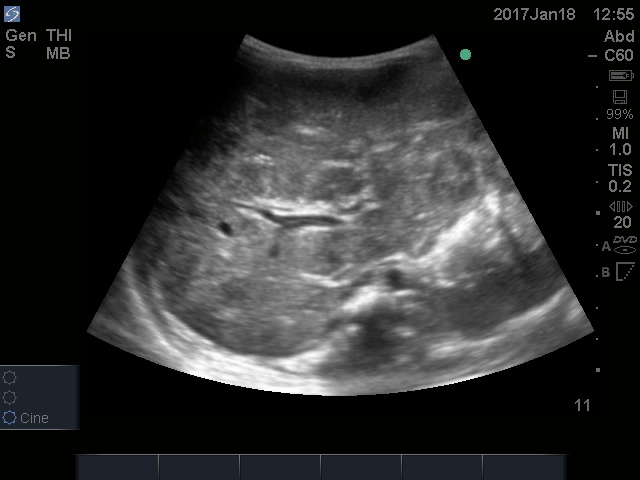 Reviewing of this case in Jan 2017, now she is 9 year-old in well status, and liver ultrasound finds out only some small calcifications in her liver. Conclusion: Multiple focal lesions of hemangioendothelial liver at neonate period now spontaneous regression for 9 years follow-up. 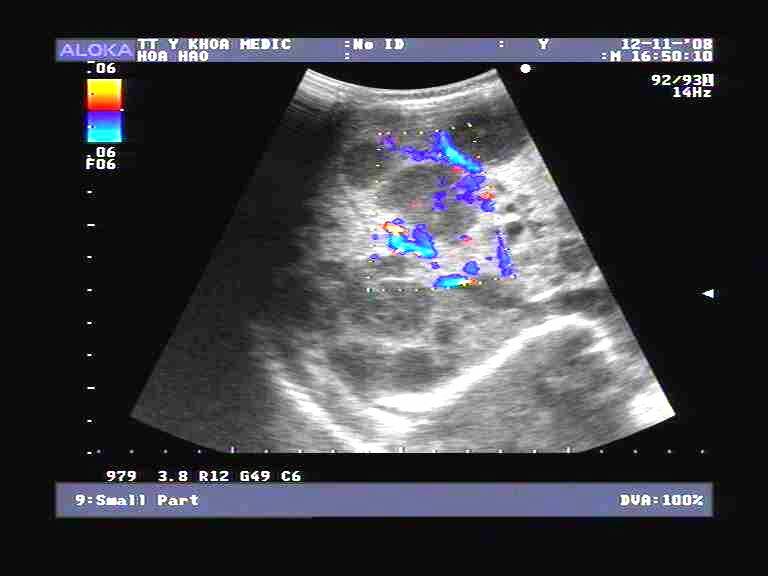 Today 18 Jan 2017, I see an another case looked like the case 413 which is on a male 4 months old baby with abdomen distention. 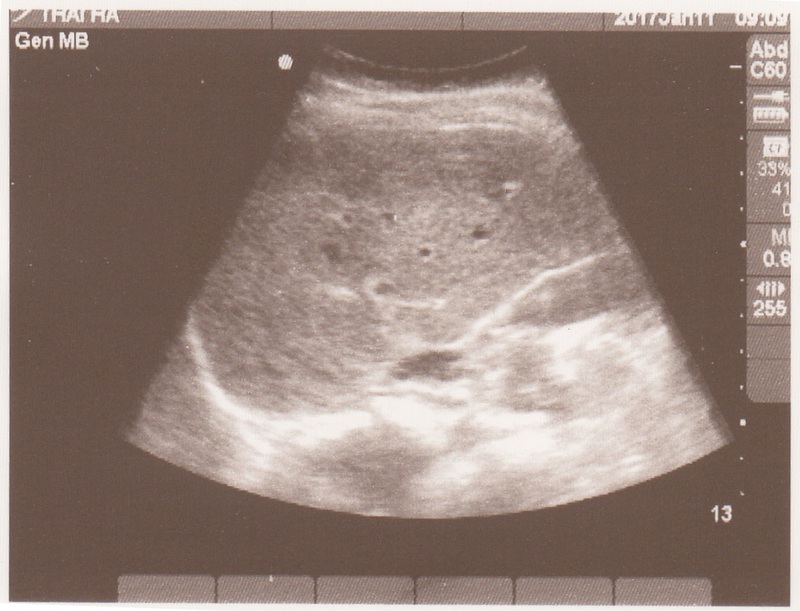 Ultrasound and CT with CE find out many round spots like jack fruit appearance. 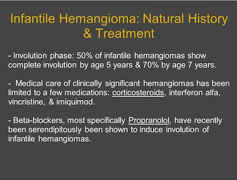 Suspection of a second case of infantile multiple hemangioendothelioma. Wait and see follow-up this case but how long to make sure the diagnosis?